Kids will count from one to 10 with some of Chicago’s most beloved symbols—the Sears Tower, the el train, Navy Pier fireworks, Chicago-style hot dogs, and deep dish pizza—in this board book featuring contemporary illustrations, dazzling colors, and bold, clear design. The end of the book includes a complete location list, in both English and Spanish, to help parents locate the symbols and landmarks and plan an entertaining trip to Chicago. 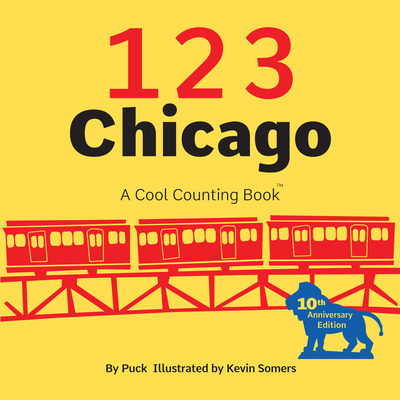 While practicing essential number skills, kids will enjoy reading 123 Chicago over and over again.